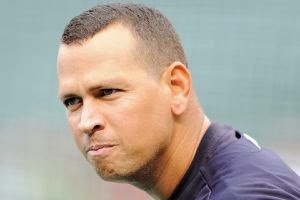 Alex Rodriguez's suspension has been reduced from it's original 211 games down to 1 full season (162 games) plus the playoffs, according to ESPN New York. MLB originally suspended A-Rod in August for his involvement in the BioGensis scandal, but was allowed to play while he appealed. According to ESPN, 12 other players were handed suspensions, but the longest after A-Rods was Ryan Braun, who got 65 games. ESPN is reporting that Rodriguez will contest the decision. He released a statement saying the ruling by arbitor Frederic Horowitz "inconsistent" and based on "false and wholly unreliable testimony," according to ESPN. "The number of games sadly comes as no surprise, as the deck has been stacked against me from day one," Rodriguez said in his statement. "This is one man's decision, that was not put before a fair and impartial jury, does not involve me having failed a single drug test, is at odds with the facts and is inconsistent with the terms of the Joint Drug Agreement and the Basic Agreement, and relies on testimony and documents that would never have been allowed in any court in the United States because they are false and wholly unreliable. "This injustice is MLB's first step toward abolishing guaranteed contracts in the 2016 bargaining round, instituting lifetime bans for single violations of drug policy, and further insulating its corrupt investigative program from any variety defense by accused players, or any variety of objective review. Rodriguez went on to maintain that he has not used PED's and he will continue to fight the ruling in his statement according to ESPN. Good luck with that, A-Roid.